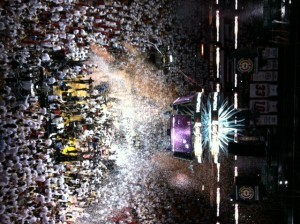 Miami Heat Win the Championship! 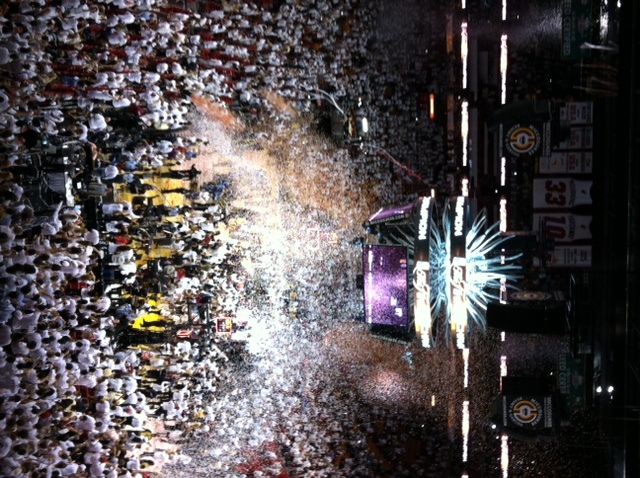 The Miami Heat, the basketball team in Miami, won the NBA Championship last night and there were huge parties all over the city. Many of our students came to class tired today after a night of partying and celebrating. The Miami Heat have been in the playoffs for a few weeks now, but they had to beat multiple teams to get to the final games. Last night, their game was against the Oklahoma City Thunder and the Miami Heat scored a lot of points. The final score was 121-106. LeBron James, who is one of the most famous players in basketball, is on the Miami Heat team and this was his first time winning a Championship. Before playing the Thunder, the Heat also had to play and win against Boston, New York, and Indiana. In a few days there will probably be a big celebration or parade to congratulate the winning team. Go Miami! Learn English and Eat Pizza!